Definition - What does Vrksasana mean? Vrksasana is a standing asana that improves balance, focus and mental clarity. The name comes from the Sanskrit vrksa, meaning "tree," and asana, meaning "pose." This asana requires the practitioner to stand on one leg with the other leg bent so the foot rests on the inside of the thigh. The hands are extended overhead with palms touching. 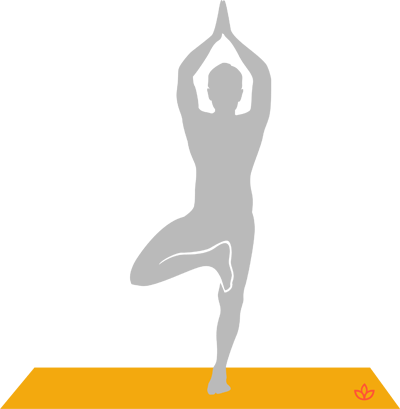 Vrksasana may also be referred to as tree pose in English. The practitioner should look and feel as steady as a tree while balancing on one leg in this asana. To achieve this balance, it may help if the individual imagines they are as rooted to the ground as a tree is. Those who find it difficult to hold the pose, even for a couple of seconds, can use a support. This asana may be performed with hands extended overhead or against the chest in prayer pose as a modification. Because this asana requires concentration to maintain, sages of the past have used it as a meditation pose. This asana also activates the muladhara (root) chakra. This stimulation promotes confidence, boosts energy flow, calms the mind, and helps the practitioner feel rooted and stable both in the body and on the earth.